As winter recedes, several annual traditions mark the return of warm weather: awkward sock tans; complaints about the cold morphing into complaints about the heat; drinkers turning to clear spirits. But fear not, bourbon fans — there’s no reason the brown stuff can’t be enjoyed year-round. It all depends on how you drink it. As any seersucker-wearing, bluegrass-listening Kentuckian will tell you, bourbons like Knob Creek® can be as refreshing on a hot summer day as a glass of lemonade ... only with big, full flavor (Old-Fashioned, anyone?). More than any other spirit, whiskey lends itself to a variety of drinking experiences. Each one reveals something unique about this complex elixir, the go-to drink for statesmen, scholars, rock stars, and ad men alike. Quality bourbon, like Knob Creek® Single Barrel Reserve, has a complex flavor profile, combining elements of vanilla, wood, smoke, caramel, and charcoal. If you drink it properly, these flavors should be identifiable from nose (the aroma) to palate (the flavor on your tongue) to finish (the lingering sensation on your palate). A proper vessel, such as the Glencairn Glass, helps you fully enjoy the flavor. But any glass with a tapered opening will do, as this keeps the whiskey oxygenated at the bottom and directs the aroma toward your nose as you sip. Single-malt connoisseurs get their kilts in a ruffle if you add anything more than a splash of water to your dram, but bourbon isn’t as precious. For those seeking a milder drinking experience, a splash of water, especially with a high-proof spirit, can open up the flavor and soften the alcoholic sting of the bourbon’s finish by slightly lowering the proof. How does the water do this? As Kevin Liu of Science Fare explains, adding water affects the solubility of the aromatic molecules. Some aromas are deadened while others are accentuated, causing the nose to expand and hidden flavors to surface. If you’re looking for a cooler, more refreshing drink, try your bourbon on the rocks. As the ice melts, the cold water combines with the spirit, expanding and elongating each sip, eliminating any hint of harshness. Cooling down your bourbon doesn’t mean it loses flavor. As Liu explains, the bourbon is warmed as it travels through your mouth, causing the aromas to enter your nose as the process of retro-nasal olfaction takes place. This means the bourbon’s nose is more apparent on your tongue than in your glass. If you’d like to cool your drink with no dilution at all, soapstone Whiskey Stones are a good alternative. Of course, bourbon can (and should) be used in a variety of mixed drinks. The Mint Julep — long associated with the Kentucky Derby — is one such classic cocktail. Mint and sugar are muddled together at the bottom of a frosty metal cup (you can use a stainless steel shaker in a pinch), then bourbon and ice are added. As the mint’s oil is released into the bourbon, it combines with the sugar, resulting in an invigorating concoction that’s both sweet and fresh on the palate, making it really easy to drink. Another whiskey cocktail that highlights the spirit’s many attributes is the Manhattan. Although traditionally made with rye, bourbon will do the trick as well. In a cocktail shaker, combine three ounces of bourbon, a half-ounce of sweet vermouth, and a few drops of Angostura bitters. Stir, strain, and finish with a maraschino cherry, preferably Luxardo (expensive, but so much better than those red food coloring-infused nightmares you find in a Shirley Temple). The Old-Fashioned is one of the oldest and best bourbon cocktails. It’s a deceptively simple drink that has maintained its popularity over the years, and ordering one still has the potential to make you feel like a boss. Sophisticated enough for experienced drinkers, it’s also easily accessible to classic cocktail newcomers. Fans of Mad Men have become familiar with it as Don Draper’s go-to refreshment. The Old-Fashioned keeps it simple, with just a few ingredients working together to enhance rather than mask the taste of the bourbon — which, let’s face it, is really what the drink is all about. The better the bourbon, the better the Old-Fashioned. Muddle sugar and bitters with a splash of water at the bottom of a glass. 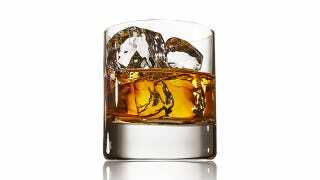 Add 3 or 4 ice cubes, bourbon (Knob Creek is a rich, flavorful choice), stir, and enjoy. The essential ingredient here, after the bourbon, is certainly the bitters - specifically Angostura. This dark, herbal concoction’s recipe remains a secret, but without it an Old-Fashioned just isn’t an Old-Fashioned. The bitters are the yin to the bourbon’s caramel-sweet yang, creating an intricate layering of flavor that pleases the palate from start to finish. But what about the fruit? This topic sometimes results in hurt feelings. Purists consider the addition of orange and cherry to be cocktail blasphemy, and might tell you to only use simple syrup, never sugar. There are also those who prefer rye rather than bourbon for the former’s peppery-sweet bite. Some even nix the ice, considering it an unnecessary dilution of the minimal beauty of this cocktail’s minimalist beauty. The addition of orange and cherry to the mix is indeed a more modern take on this classic. It makes for a very flavorful drink when used in the right proportions. Simply take a thin slice of orange and a Luxardo cherry, and muddle with the sugar and bitters. The orange adds a pleasant citrus zing to the mix, and the cherry subtly amplifies the inherent sweetness of the bourbon without overpowering its flavor. Now that you’ve mastered the skill of drinking bourbon in all its forms, head here to learn more about Knob Creek® and continue your bourbon education with the Original Brothers of Bourbon. This post is a sponsored collaboration between Knob Creek and Studio@Gawker.